A few words from our families! 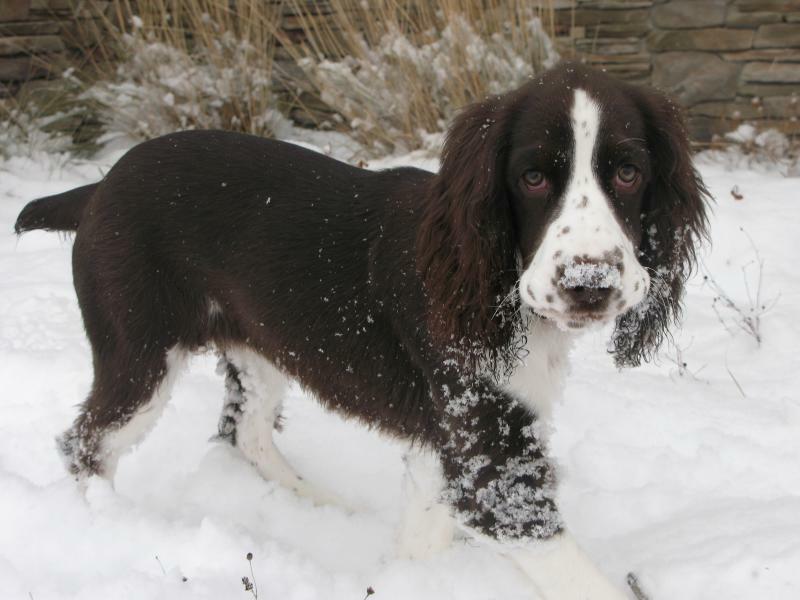 We are a family breeder who does it because we love our dogs and want to share them with you. We care deeply about all of the "new families" we know can call friends! Here are just a few words from some very happy new families and some pictures they have shared! Here is a quick update on Cruze. He is the best puppy very laid back, relax and easy to train. We are having a blast with him, his markings are just beautiful. He is going to be a big boy! Cruze has been one of the best dogs I have ever owned at his age, he is so calm and mild mannered but let him loose in the bird field and watching him find those birds is amazing! I have worked Cruze into my rotation as a guide dog at Highland Hunt Club. Since 18 weeks of age he has been pointing birds and honoring the other dogs when they are on point. You should hear some of the compliments I get on Cruze when I tell them actually how young he is. This mating has produce some awesome pups and I am glad to hear you will be repeating this litter again. "You were right she is beautiful. Whenever we take her out – to the dog park or for a walk, we almost always get compliments. Her coat is so shiny, people want to know what we do. We do nothing that I know of! That’s just the way it is. She has a great disposition. I think we did a good job of socializing her with adults, kids, and dogs, so that makes her very friendly to everyone. Several people have told us they’ve never seen such a happy dog. She’s also very strong willed. I would guess she is an alpha dog. When she wants something, she wants it! It used to be so funny, when she was a young pup if we told her NO, she would go into these fits where she ran around the house (you can make a circle thru the rooms) as fast as she could for a couple of minutes. Then she’d calm down. I guess that was her way of venting. She’s out grown it now – we miss it. .
I’ve forwarded your note to my daughter. They have a seven year old who is dying for his own puppy. Hopefully they will want you to save one. It would be cool to have a pair of sisters! ..."Just an update on Blake & Patch they are doing great. We went to vet today and Blake is 21lbs & Patch is 19lbs. Everyone that has seen them think they are just the cutest pups. Blake likes to cuddle and Patch is starting to also cuddle. They come to Craig when he whistles and will sit for treats. They follow me all the time when they are in the house . I am very very happy with my boys . If you ever need reference on the quality of your dogs and the pups they have just have them call me. I thank you again for my boys. We will pass the word to others who comment on how great our dogs are!!! We can't tell you thank-you enough for producing such wonderful dogs. Max and Molly are very happy and smart dogs. We still to this day get comments when we are out with them. When camping out of our area people will stop us and ask about them. We tell them where we were so lucky to purchase them and how good they are!!!!!! Maddie is doing really well. She loves the snow. The kids love "training" her and she does know how to sit now. I had a good friend visit us over Christmas. 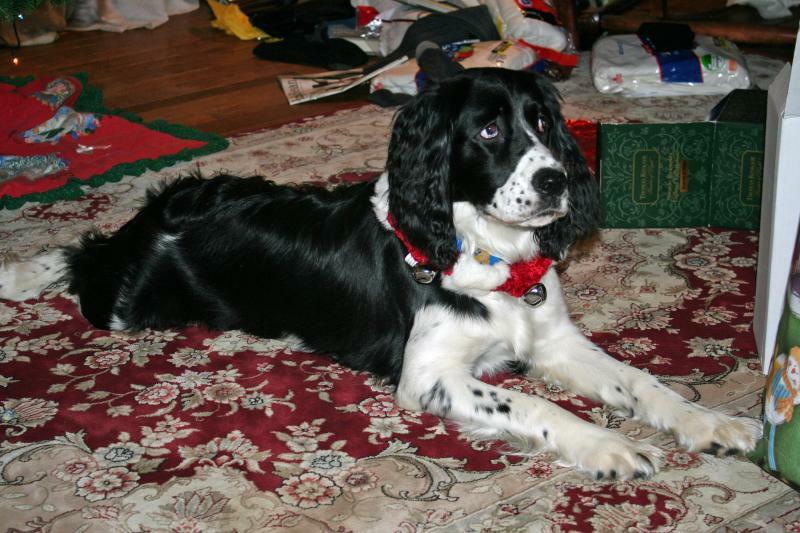 They had to put their springer down last spring and had originally gotten him because we had our Sydney and they loved the breed. Now, we have Maddie and she fell in love with her too."